Lofty as the span of a woman. The tiny man from the ocean is the first model which has been completed for this challenge. 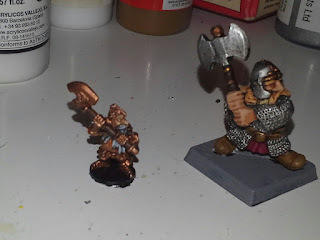 The tiny man next to a 28mm dwarf.